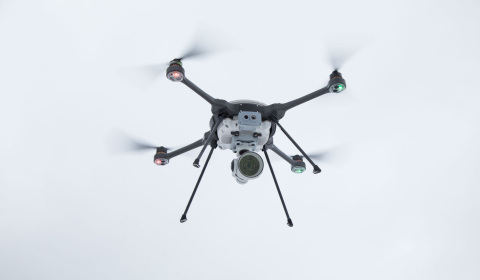 FLIR Systems Acquires Aeryon Labs for $200M | FLIR Systems, Inc.
WILSONVILLE, Ore.--(BUSINESS WIRE)--Jan. 28, 2019-- FLIR Systems, Inc. (NASDAQ: FLIR) announced today that it has acquired Aeryon Labs Inc., a leading developer of high-performance unmanned aerial systems (UAS) for the global military, public safety, and critical infrastructure markets for $200 million. Aeryon’s vertical takeoff and landing quad-copter airframes integrate multiple sensors, including FLIR thermal technology, to provide users with immediate high-resolution intelligence, surveillance, and reconnaissance (ISR) capability. This press release contains forward-looking statements within the meaning of the Private Securities Litigation Reform Act of 1995. Forward-looking statements may contain words such as “anticipates,” “estimates,” “expects,” “intends,” and “believes” and similar words and expressions and include the assumptions that underlie such statements. Such statements are based on current expectations, estimates, and projections based, in part, on potentially inaccurate assumptions made by management. These statements are not guarantees of future performance and involve risks and uncertainties that are difficult to predict. Therefore, actual outcomes and results may differ materially from what is expressed or forecasted in such forward-looking statements due to numerous factors. Such forward-looking statements speak only as of the date on which they are made and FLIR Systems does not undertake any obligation to update any forward-looking statement to reflect events or circumstances after the date of this release, or for changes made to this document by wire services or Internet service providers.